As if it’s name wasn’t clear enough, Shenanigans is all about the funny business. Our sales representative, Bastien, recommended Shenanigans for their character! 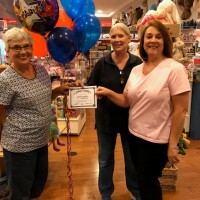 From being family owned, to having the friendliest staff, and creating a store with a little bit of everything available, there’s clearly something special about this shop! Although its filled to the brim with entertainment, Shenanigans also has the rich history to match. Shop owner, Kai, moved from Florida to Charlottesville in the 70’s with her 4 week old son. Working as a copy writer there was never a shortage of tasks that she could lend her creative wizardry to, and add some flare. Just like mom, her son was a little go-getter. As a fast learner, he was walking by 9 months and out growing his old toys and games quicker than most. This left Kai having to travel far just to get those toys and games that were developmentally challenging and gender neutral. 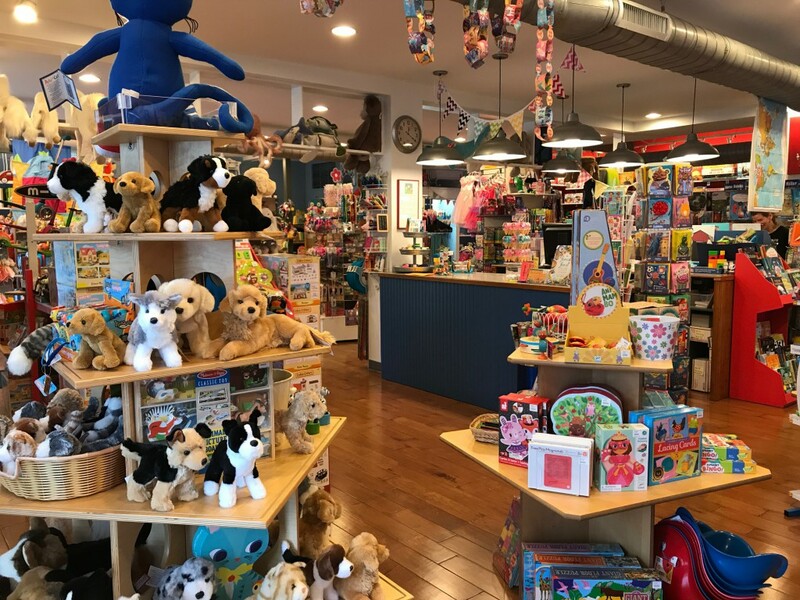 With other mothers in the area doing the same, it was clear the Charlottesville needed a toy store where the community could find that big city quality, and diversity, without traveling hours north. It was during these pilgrimages in search of fun that Kai saw a future for herself and family. Since she had also been looking for work with a young child, she was able to design a job with built in childcare that was just right for her. Thus Shenanigans was born! 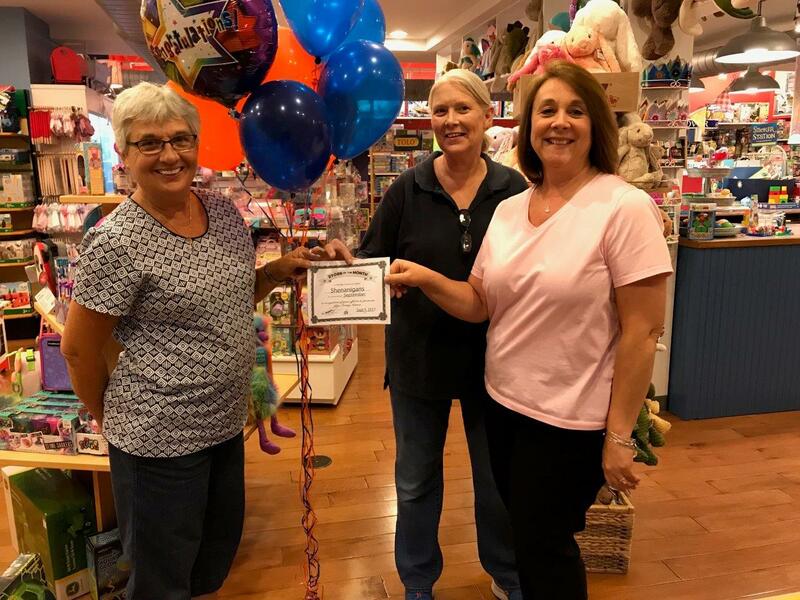 With it’s door open for over 40 years, this shop knows fun like no other! In 1974 Shenanigans first welcomed those who sought out fun engaging toys and games without the journey. Fast forward to today where they still provide just that. Even though they aren’t the only toy store in the neighborhood, Shenanigans still reigns supreme! Kai states, “what sets them apart is their product selections”. With such a cute, little store, every item within those four walls is curated by their staff with maximum fun in mind. Knowing what makes customers squeal in delight is something that keeps the neighborhood coming back. Tailoring their selection so that games are completely original and never stale is exactly what puts Shenanigans at the top of the list! 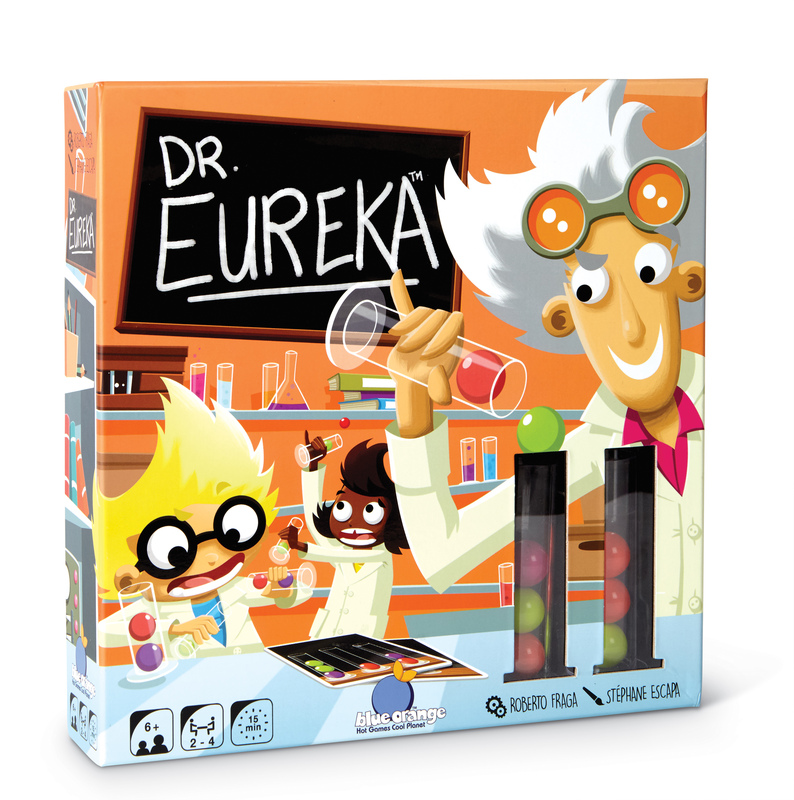 As far a Blue Orange Games, Kai would have to name Dr. Eureka as one of her favorites. Going into detail, Kai says our games have such bright and nice art and there’s always a great eye-catching factor. But what truly lies beneath the cover is Blue Orange’s dedication to inspiring STEM and core developmental skills that don’t go unnoticed to parents. Kai motto is that “if it’s boring, it’s not educational, since they’re not going to play it”. This blunt but true statement by Kai really resonates with our product line. Kai elaborated that the kids don’t need to think about the skills they’re gaining, but rather the fun should conceal it. When playing with building blocks, a child doesn’t necessarily know he or she is developing a basis of engineering, nor do they understand they are growing familiarity with STEM when they play a game like Dr. Microbe. 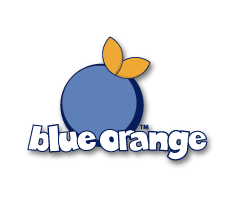 Blue Orange has the same values; learning should be fun, and if kids already want to play the games then half the work is already done. Shenanigans’ philosophy is to leave the term educational out by labeling their games and toys as fun! As a type of parental shenanigans, or a method of mischievousness, kids are left having uninhibited fun without knowing that their developing better motor and strategic, critical thinking skills! When considering their success, Shenanigans is no stranger to being a community staple. Kai thanks her neighborhood for being the perfect location, as it is a region with few chain stores and many unique shops that are supported by their community. Not to mention being between two hubs of the city, Shenanigans is accessible for all, either for a quick stop in for the grand kids, or an afternoon spent exploring with the kids. 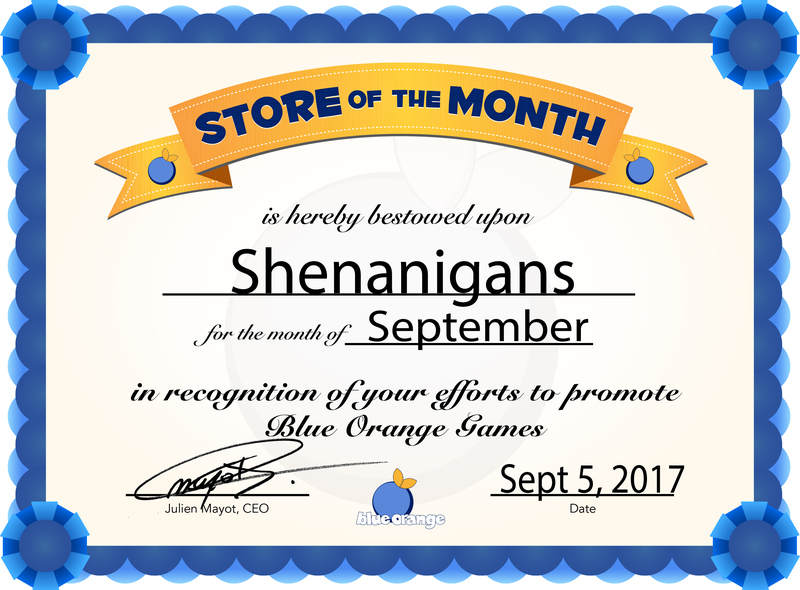 Make sure to grab a copy of the original Shenanigans Coupon Book, with monthly deals such as Board Game Discount November coming up, it’s sure to be a good time! 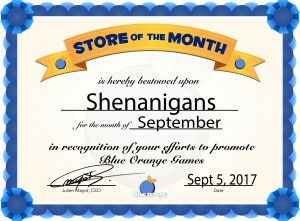 Working with Shenanigans has been a pleasure and we proudly award them September’s Store of the Month. 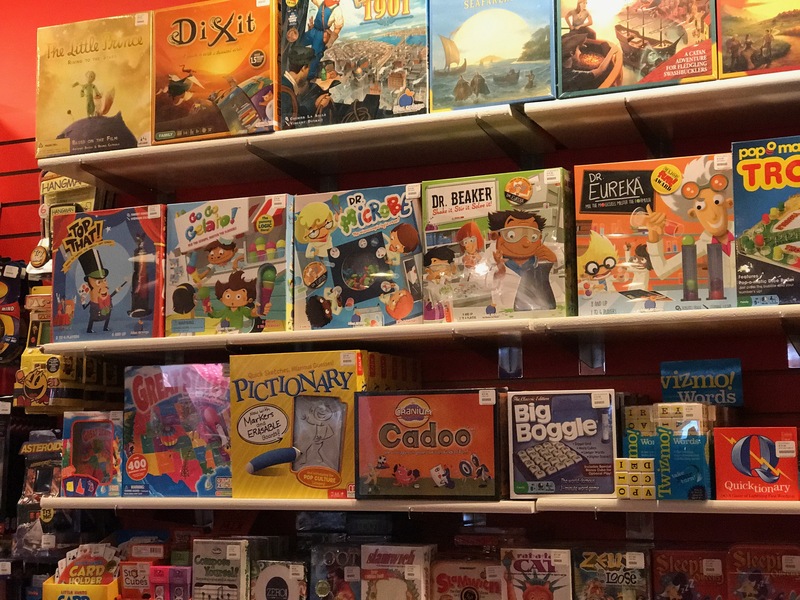 As a important part of Charlottesville , Shenanigans is a place where you can find something for everyone, from the helpful staff to the perfect game. Shenanigans is always reachable via their website here or at 601 West Main Street, Charlottesville, VA.